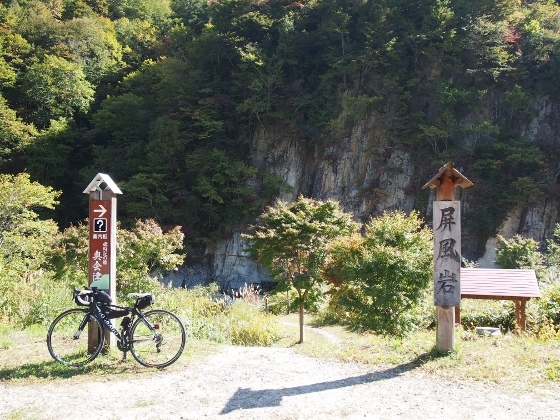 Today, I left Tokusa Onsen and pedaled towards Hinoemata Onsen. 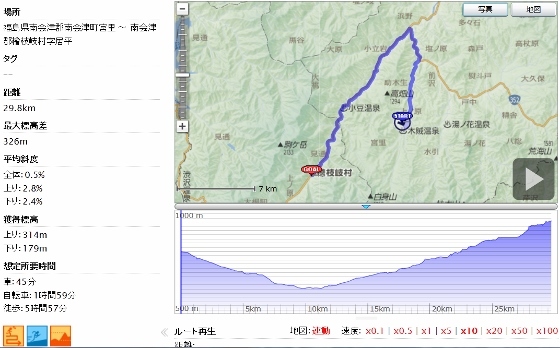 After the downhill from Tokusa area, the route was Route 352 only. Some views are shown on the way. 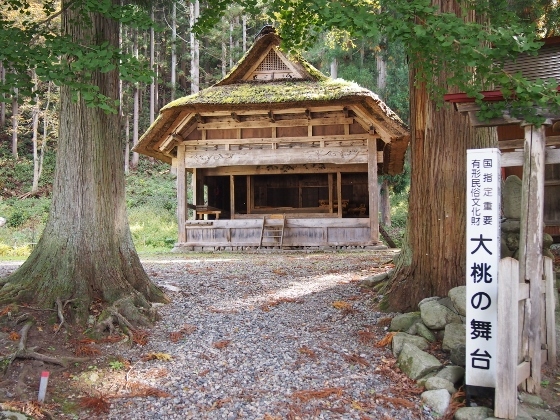 The first scene was an old Omomo Stage which was located in Minami-Aizu Town. This had been designated as National Significant Tangible Folk Cultural Properties which had been used as a stage for play in old times. 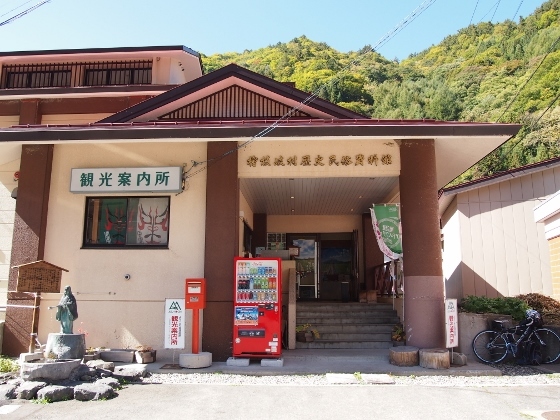 Then, the next scene was Byobuiwa which was also located in the Omomo area of Minamiaizu Town. 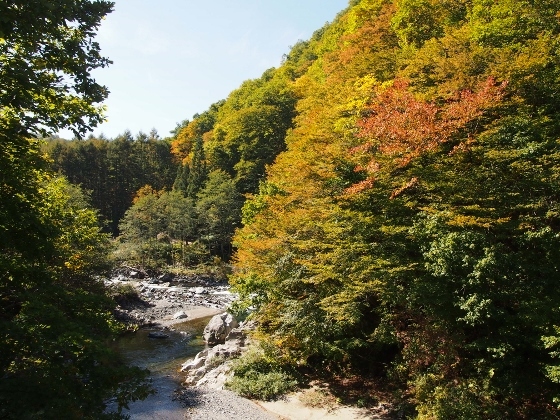 This was the scenery spot for autumn red; however, it was about a week earlier today. This was another scene at a little further ahead. 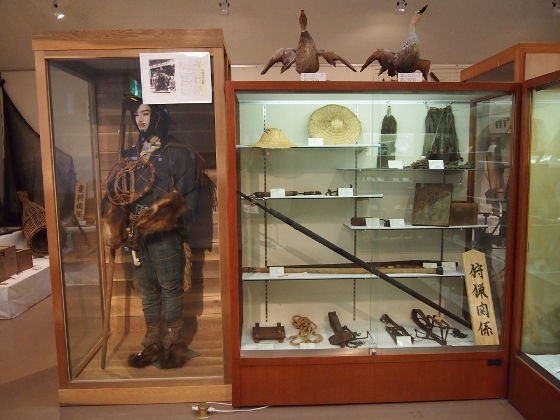 Next, I was in Hinoemata Village and I first visited the Museum for the Hinoemata History and Folk. The first picture shows the building, and the second and third pictures show examples of the display. These were the old hunting style in the very deep snow, and Kabuki play which had been an important fun of the people in old times. 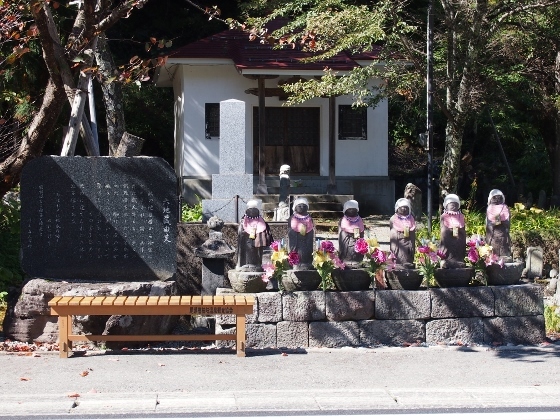 The first picture shows Rokujizou which means six guardian deities of children. 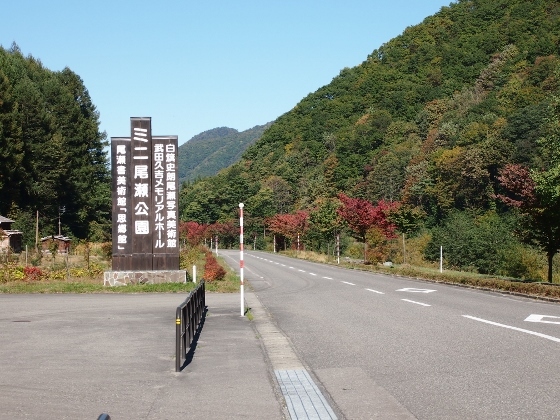 People could not raise rice due to the high altitude in this Hinoemata district. They had build these for the memorial of dead children in the past bad harvest year. 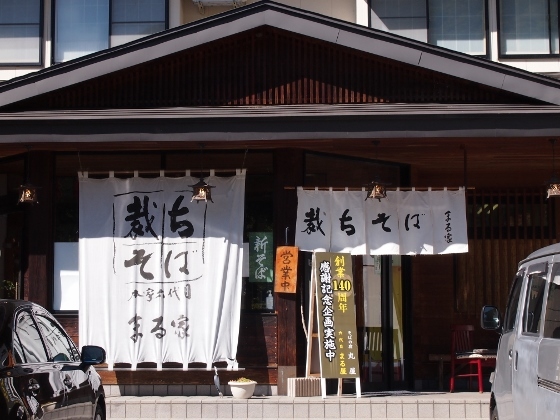 They had used to raise buckwheat instead, and today their product called Tachisoba which was made from 100% buckwheat was famous, and there were many soba restraurants as shown in the next picture. In this month they served soba fresh from the field. 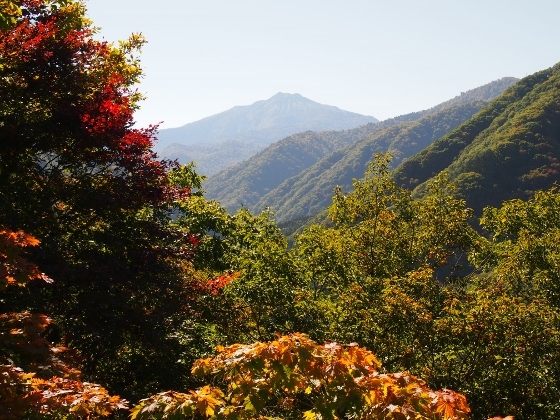 There was a viewing place where you can get to by climbing the mountain 500m on foot from Nakadoai Park near the center of the Village. Two pictures are shown taken from here. 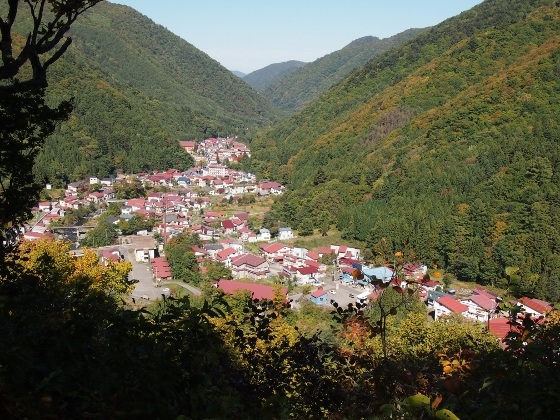 The first one shows a view of the town area of the Hinoemata Village. The second one shows Mt. Hiuchigadake of Oze which is 2356m high. A little further from there, there was Mini-Oze Park shown in the first picture. In the park they had display area of pictures of nature in Oze. 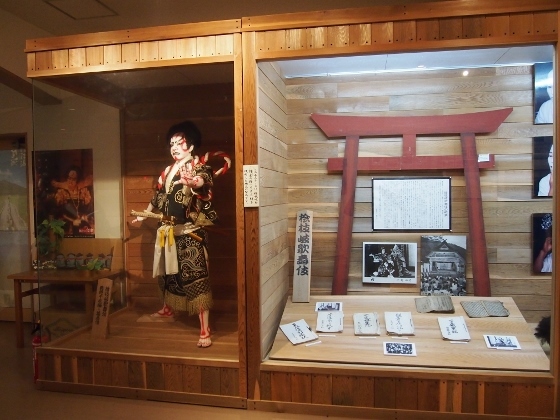 The next picture shows an example of the display room. 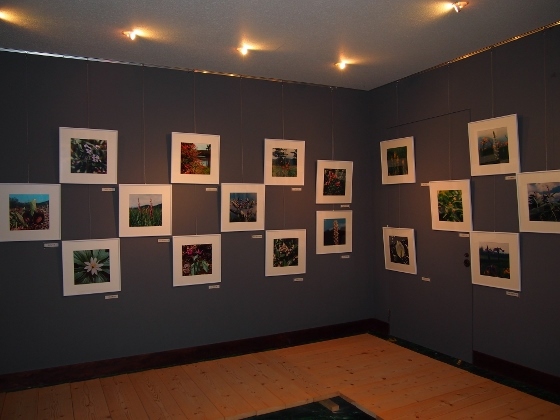 They had many beautiful pictures of Oze taken in four seasons. I believe it is very useful to visit here. Today I stayed at Kagiya Inn as shown in the picture above. 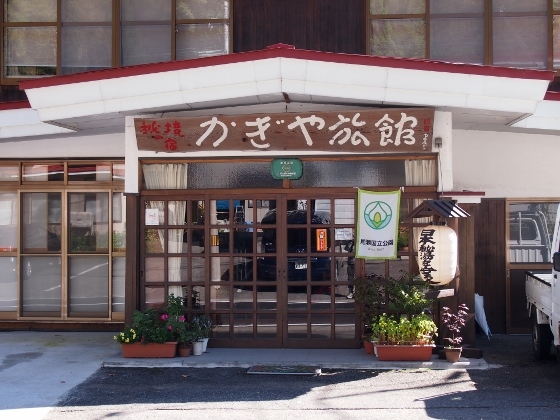 This inn was the member of the Japan Association of Secluded Hot Spring Inns, and had a good and old house. 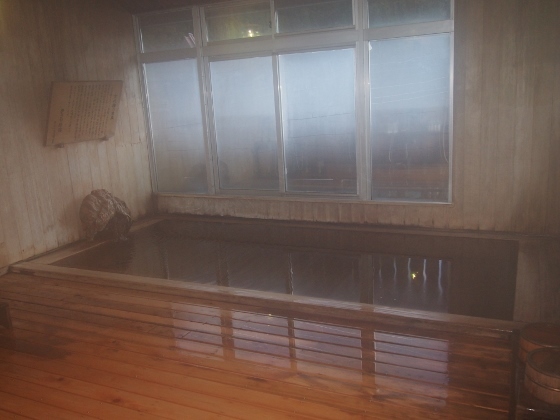 It had a nice bath made of an ancient hinoki trees as shown in the second picture, and this was really comfortable.